Deborah is an education attorney in the San Francisco Bay Area currently representing families and students against school districts throughout Northern California. She is extremely passionate about her work and the rights of children with disabilities, including children with mental health needs. Deborah is an active member of the educational community and works with parents, teachers, administrators, service providers and local organizations to support the needs of vulnerable youth. Deborah has spent her entire legal career working on behalf of children with special needs. As a law student she won awards for her legal writing and worked as a legal intern and special education advocate for Disability Rights California and Bay Area Legal Aide. As a first year attorney, Deborah became the managing associate at a special education law firm in the District of Columbia where she represented dozens of low-income families and children in special education cases. Prior to relocating back to the Bay Area, Deborah co-founded The School Justice Project (“SJP”), a legal services and advocacy organization serving older students with special education needs who are involved in Washington DC’s justice system. In 2013 Deborah started her own practice in Berkeley, California, Jacobson Education Law (“JEL”). JEL’s mission is solely dedicated to helping families with children with disabilities. In addition to her private practice, Deborah has worked as both co-counsel and a contract attorney for Disability Rights Education and Defense Fund (“DREDF”). Deborah has effectively and compassionately represented hundreds of clients in special education matters. She is a frequent presenter at state and national conferences, and provides trainings to local advocacy and parent groups. 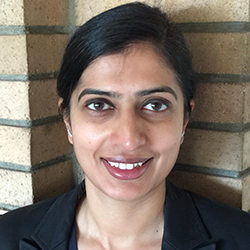 Ramaah began her legal career as a litigation associate at a large regional law firm in Sacramento, where she worked on a broad range of civil cases in federal and state trial and appellate courts within California. However, she was inspired to take her career in a different direction after her first child was diagnosed with a disability shortly after birth. As a parent of a child with a disability, Ramaah experienced the same challenges many parents of children with disabilities face when advocating for an appropriate education for their children. As Ramaah became more involved in her local community of parents of children with disabilities, she quickly realized that she could use her legal training to advocate for children with disabilities and their parents. Ramaah spent over two years working on special education cases at Disability Rights California and Disability Rights Education and Defense Fund. Ramaah joined Jacobson Education Law as Of Counsel in 2017. Ramaah holds a J.D. from the University of California, Davis School of Law, where she served on the Law Review and co-founded a legal aid organization providing legal services to under-served communities throughout the country. She also holds a Master’s degree in Sociology from Tulane University and Bachelor’s degree in History from the University of Tennessee. Lindsey’s background as a special education teacher and mother to a disabled child gives her a unique, knowledgeable and empathetic perspective when working with clients at Jacobson Education Law. She understands first-hand how difficult and stressful navigating the Special Education process can be, but also knows the ins and outs of special education issues and program from the prospective of a teacher. As a special education teacher, Lindsey taught all grade levels in both special day classes and as a Resource Specialist teacher. Her experience in teaching was primarily focused on child with learning disabilities, emotional disturbances, and high-functioning autism. She brings this experience along with fierce advocacy skills she has gained as a parent of a child with special needs to Jacobson Education Law. Lindsey enjoys learning about and working with each client and their family to help ensure that their children gets the services that they need to succeed in school and beyond. Lindsey earned her tier 1 mild/moderate special education credential from San Jose State University and her tier 2 mild/moderate special education credential from Chico State University. At the same time, she also earned her Cross-cultural and language Development Credential from University of San Diego, and in 2005 earned her Master’s Degree in Education, with an emphasis in Special Education, writing her thesis on creating an inclusive special education program in a low-income school. In 2013 Lindsey completed her tier 1 Administrative Services credential at National University. As a teacher she volunteered to run many after-school activities, completed a 3-year district-wide special education compliance review for the California Department of Education, and was head of the special education department at her school for several districts. As an advocate and legal assistant at Jacobson Education Law, Lindsey not only attends IEP meetings on behalf of students, but collaborates with Ms. Jacobson in comprehensive records reviews, reimbursement documentation, and every aspect of litigation preparation.